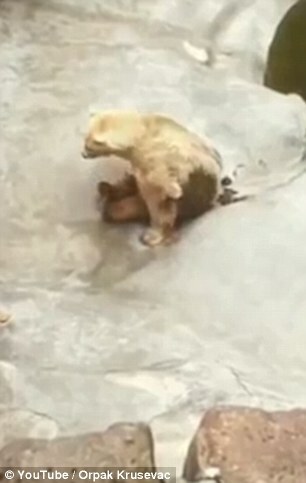 Serbia: Pitiful Footage Of A Polar Bear At Belgrade Zoo – And What Will The Serbian Government Do ? – Nothing As Usual. We hope to have some very good news which we will publish very soon regarding bears in Serbia. Keep your eye on new posts over the next few days. The authorities have not cared all the time we have been campaigning for the last 12 years. They still have their animal abusing ways and do exactly as they want; ignoring the evidence of sterilisations (for cats and dogs on the street) whilst filling their fat bellies and fat pockets with cash that was intended to go to animals. People call it ‘corruption’. The Serbian government is running a corrupt system when it comes to ‘animal welfare’ – see all our posts for the last 12 years for very clear proof of this. Does anyone at the EU care ? – NO. Do the Serbian authorities care ? – NO – they just get rich on the corruption. Regional authorities management and subcontractors being paid 450 Euros by the government to kill each and every street dog, when the average monthly salary in Serbia is 300 Euros – some people are living a good life off the corruption of a never ending animal killing ‘control’ policy, which is against the law, rather than adopting a ‘sterilise and reduce numbers’ policy as put forward by global animal welfare organisations. But then a gradual reduction in animal numbers would mean less for the authorities to catch and kill – and so would reduce the money being claimed by the authorities which can go into management back pockets !. So nothing changes; the killings and financial claims to national governments continue to pour in from the regional authorities. The EU (Enlargement Commission) does not care about animal suffering in Serbia, even though Serbia is now an EU ‘Candidate country’ which should abide bt EU legislation of enforcing the national ‘rules of law’, which does not allow street animals to be killed !!. We have provided evidence and photographs to some of the big, international, well paid, well supported animal welfare organisations – and they do not seem to care about the situation either. The Daily Mail shows the footage in its paper, but it does not care either – hence no action or campaign from it. Summary – Lots of ‘how terrible is this’ words, but no actual action. We are a volunteer group and do not have the funding to take this further legally with the Serbian authorities. Other groups do have the funding but wont do it. 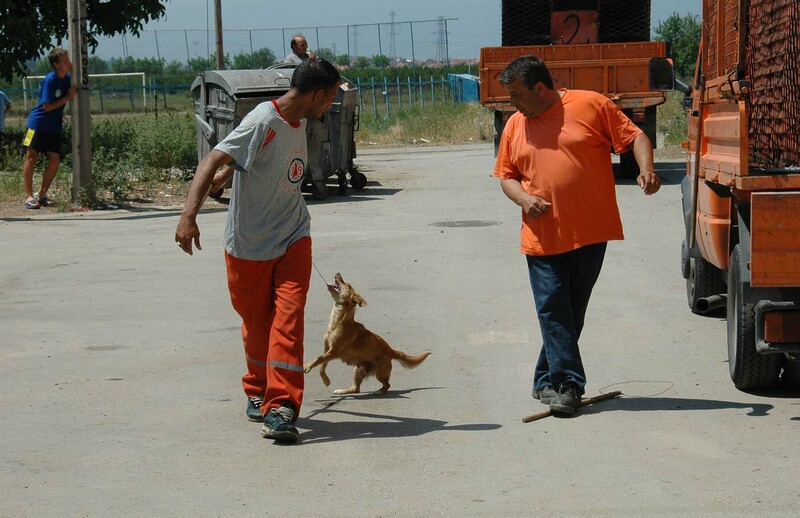 So things remain as they are – and animals in Serbia suffer. We can say the truth like this without fear of legal action by the authorities; because they know they are wrong and that their system is illegal and breaking the Serbian Constitutional law – and they would not have a leg to stand on if things ever went to any court – so as a result they do not take action with groups such as us who are trying to save lives. We have been sent this footage today (29/7) from a caged bear campaign group. We have had many serious confrontations with the Daily Mail in the past; especially regarding live animal exports, so they are certainly not one of our favourite UK newspapers – anything but; but we do feel this footage is worth showing. Under normal conditions, Polar bears are gleaming white; not covered in their own mess, unable to walk; but this once again is proof that the Serbian ministries and government do not give a toss about the welfare of animals in Serbia. We have campaigned about Serbian zoos for a long time. Just type ‘Serbian Zoos’ into the Search box at the top right hand corner to get a full listing of all our articles and campaign work. Sadly, the Serbian government ignores us; the EU ignores us (hence the UK getting out ! )and many of the major welfare groups who should be picking up a lot more on what we send them are also ignoring the evidence. Animals are suffering as a result. As far as we are concerned now, Serbia is welcome to the EU, and the EU is welcome to Serbia. Only once it has become a member state will the EU then wonder where it has gone wrong. But that is its problem. If it does not act now to help Serbian animals despite all the endless evidence we supply to the EU Enlargement Commission; then what hope for anything ? Just the way the Serbian Ministries want it – well they are welcome to it, and to the never ending problems that their thick head ignorant attitude will bring. We have other global animal issues that we want to fight for, so we let Serbian campaigners fight for Serbian animals now. What exactly will the Serbian Ministry do about this bear at Belgrade zoo ??? – just like the past 12 years probably – NOTHING.